The online tool allows the public to see old versions of websites and contains more than 302 billion saved web pages. Affected users are being shown a message saying that access has been restricted under the orders of the government's Department of Telecommunications. However, no explanation has been given. "Courts and security agencies do block certain websites and the reasons are sometimes not disclosed," Shambhu Choudhary, the director of the government's Press Information Bureau told the BBC. "These are based on directives from security agencies." 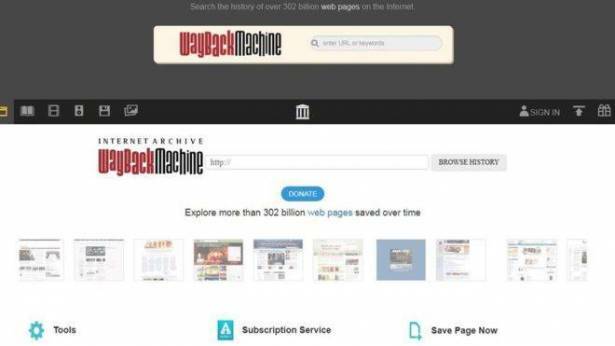 The San Francisco-based Internet Archive project told the Medianama news site that it was also at a loss to explain the situation. "Obviously, we are disappointed and concerned by this situation and are very eager to understand why it's happening and see full access restored," said office manager Chris Butler. In 2014, the country ordered local internet service providers (ISPs) to block the Internet Archive, along with Vimeo, the Daily Motion and 29 other popular sites, over concerns they provided access to "Jihadi propaganda".